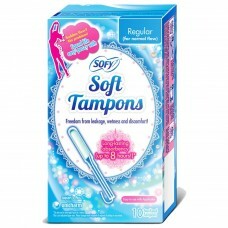 Tampons allow you to enjoy yourself and forget about your periods! 1. 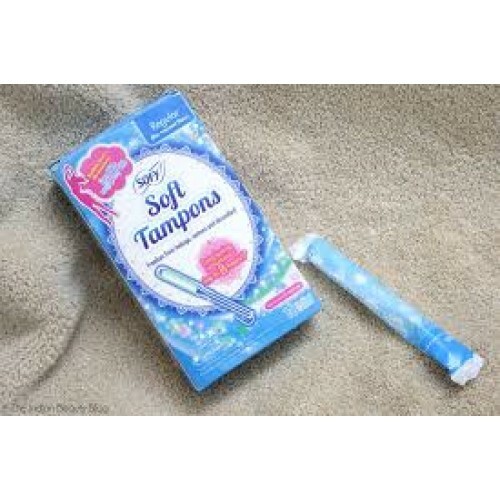 Superior Absorbency: This finger-size tampon has the capacity to soak up to eight hours of leakage. * This is an indicative figure only and may vary according to individual needs. Please change more frequently if required. 2. 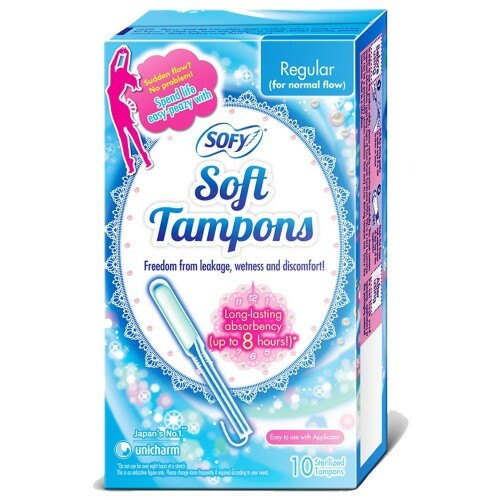 Freedom from wetness and discomfort: Sofy tampons are inserted inside in a sensation-free area of your body, giving you freedom from wetness and discomfort. For first-time users, we recommend starting with regular size tampons (meant for normal flow). The soft applicator is made of soft material and a rounded tip and smoothly glides into the correct position. Q	Is each tampon individually packed?